The challenge for this project was to take a deep dive into the world of commuting and imagine what a more sustainable future might look like for the millions of people that commute to work everyday. Sustainability is often associated with our consumption of energy and natural resources, but what about the emotional and behavioral side of commuting? What about the anxiety, fatigue, and frustration of driving? We joined commuters on their daily odysseys to and from work and were shocked by how completely disengaged people have become from the experience of controlling a car. We initially explored autonomous vehicle concepts with the aim of liberating commuters from the monotonous chore of driving. However, we realized that perhaps the key was not to remove people from the experience, but rather to fully engage them in it. We tested this idea by creating a number of experiential prototypes that we thought would make driving more invigorating, stimulating, and engaging. 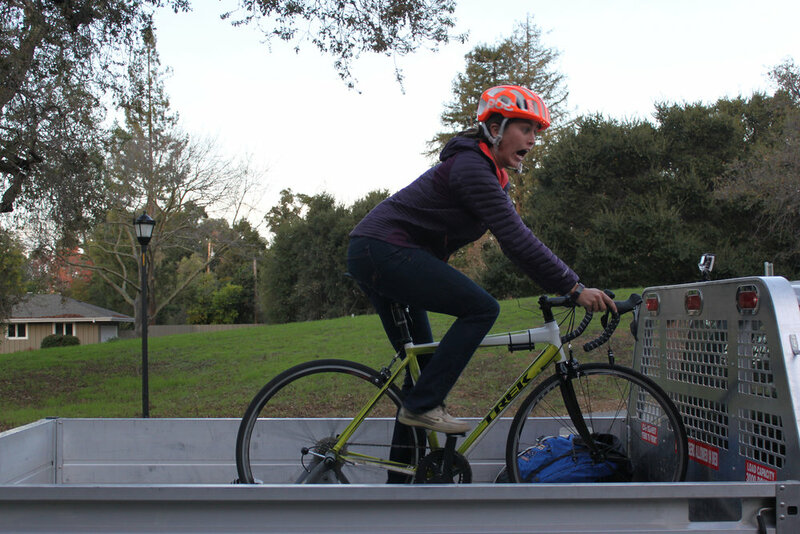 Before having the idea of strapping a bike trainer to the bed of a pickup truck, we attempted some other forms of sensory engagement, including a dashboard fan that we set up to run proportional to the speed of the car.